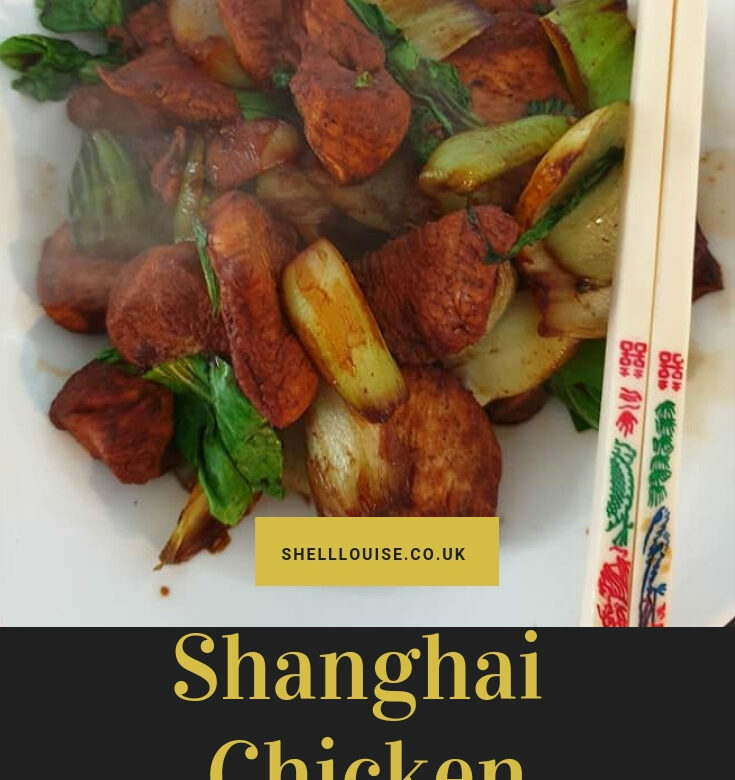 This Shanghai Chicken is going to be one of my go-to favourites, I just know it; I LOVE Chinese 5 spice! I’ll have to have it for lunch, however, because KayCee’s not a fan of Chinese 5 spice and will not be happy if we serve this up for dinner! Put the 5 spice powder and some freshly ground black pepper in a large bowl and mix well. Cut the chicken into bite-size chunks, add to the 5 spice mixture and stir to coat well. Spray a large non-stick wok or deep frying pan with low-calorie cooking spray and place over a high heat. Add the chicken and the white part of the pak choi and stir-fry for 5 minutes or until just beginning to brown. Add the Shaoxing rice wine or sherry, soy sauce and 3 tbsp water and bubble for 3-4 minutes or until the sauce is reduced and everything is coated in a sticky glaze. Scatter over the green pak choi leaves and cook for 1 minute or until the pak choi greens have wilted and the chicken is cooked through. I’m sorry, I’m afraid I don’t know. We dont work on calories at Slimming World. I’ve never made curry in the slow cooker, I’ll have to give it a go!